Ein Euro Strafe für denjenigen, der seinen Teller beim „All-You-Can-Eat“ nicht leer isst – damit macht gerade das japanische Restaurant Yuoki in Stuttgart Schlagzeilen. Der Gedanke ist gut, stellt er sich doch der Verschwendung von Lebensmitteln ent-gegen, die gerade in der Gastronomie schnell tonnenschwer wiegt. Die Green Chefs drehen den Spieß allerdings um: Sie belohnen leere Teller. Unter dem Dach der Green Chefs vereinen sich über 200 Gast-ronomen, die sich für Fairness und Verantwortung in ihrer Bran-che einsetzen. Sie wissen: Als Köche und Gastgeber haben sie eine wegweisende Rolle, um ein breites Bewusstsein für den nachhaltigen Umgang mit Lebensmitteln zu schaffen – immerhin bewirten sie tagtäglich eine Vielzahl an Gästen. Gespräche mit Gästen über die Werte, die der Beruf des Kochs mit sich bringt, sind sehr wichtig. Wer in der Küche mit kreativen Ideen alle Lebensmittel verwertet, aber seinen Gästen diese Einstellung nicht vermitteln kann, steht am Ende des Tages trotz aller Bemühungen vor Abfallbergen. Zu groß sind oft die Augen der Gäste – kein Wunder bei den Köstlichkeiten am Buffet. Strafen für nicht leer gegessene Teller sind eine Möglichkeit, dem Gast die Probleme der Lebensmittelverschwendung nahe zu bringen. Sie sind rechtlich noch teils fraglich und selbst, wenn sie durchsetzbar sind: Es kommt zu einem Streit mit dem Gast. An vielen Buffets wird zum Anfang kassiert – das Nachfordern einer Strafe am Ausgang kann nicht zur beiderseitigen Zufriedenheit ausgehen. Die Green Chefs haben auch hier eine positive Herangehens-weise: Ein Gastronom mit Green Chefs Auszeichnung erhebt daher keinen moralischen Zeigefinger, er ist einfach Vorbild. Umso mehr freut er sich daher, wenn Gäste seine Ideale erken-nen, anerkennen und sich ihnen anschließen. Green Chefs, die ein Buffet anbieten, halten daher Bonuskärt-chen bereit: Gäste, die ihren Teller leer zurückgeben, erhalten einen Stempel – bei zehn Stempeln gibt“s einmal Buffet frei Haus. „Lebensmittel werden an drei Stellen verschwendet.“ weiß Merle Giebeler von den Green Chefs: „Zwischen Produzenten und Küche, also bei Transport und Lagerung, in der Küche bei der Vor- und Zubereitung und natürlich auch hinter dem Pass. An zwei Stellen kann der Gastronom gegen Verschwendung an-gehen, in der letzten Phase ist er abhängig von seinen Gästen. Wenn er es schafft, seine Gäste zum Mitmachen zu bewegen, spart er je nach Berechnung zwischen 15 und 20% Abfall durch zu volle Teller. Die Bonuskarten kosten den Gastronomen nur 10% – wenn alle Gäste die Karten immer nutzen und einlösen. Der noch wichtigere Effekt für den Gastronomen liegt in der Kommunikation. Gäste, die mitmachen, fühlen sich moralisch überlegen und reden über das Restaurant. Diese Werbung ist unbezahlbar – genauso wie die Möglichkeiten der Wirkung auf die Presse. Die Bonuskarten sind nach einer Testphase jetzt bei den Green Chefs erhältlich. Voraussetzung ist, selbst Partner der Green Chefs zu sein. 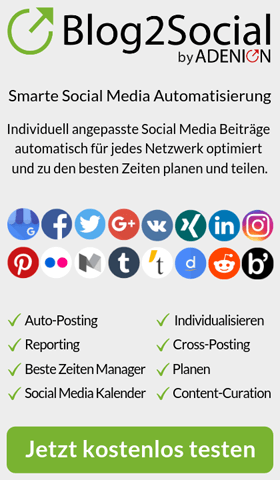 Hier reicht es, sich den Bewerbungsbogen von der Homepage zu laden, auszufüllen und einzusenden. Die Partnerschaft ist für Gastronomen kostenlos. Green Chefs ist ein Siegel für Gastronomen, die sich für Fairness und Verantwortung in der Branche einsetzen. Neben der be-wussten Verwendung von Lebensmitteln und einer nachhalti-gen Küchenausstattung stehen Green Chefs für fairen Umgang mit Lieferanten und Mitarbeitern sowie ein CO2-bewusstes Energiemanagement. Green Chefs sind Köche und Gastronomen in Restaurants, Ho-tels und Gaststätten oder in der Gemeinschaftsverpflegung. Auch können Kochschulen, freie Köche und Caterer Green Chefs werden, ebenso Konditoreien und Cafes. Ob Imbiss oder Sternebetrieb ist dabei ganz egal. Many of us may be thinking this is a little too early to consider especially following a big festive season spending spree. The spending hangover has hardly worn off after all. But for those that are savvy with keen eye for savings, this is about the right time that you will if you want to get great savings on the years buffet catering be it for one off events like an upcoming wedding or regular sandwich delivery, Marquee or Catering Equipment hire service to your office, home or other venue. So when you will need a caterer, for a wedding, business event, birthday party, kids’ party, anniversary or other event; many caterers will normally have set menus ready to order off. While these may seem attractive to many for their convenience, this time of season in the best time for a cut price buffet service for those intent on seeking a competitive quote out there. The main benefit of hiring a quality buffet caterer early in the year, is that you save time to concentrate on the other important aspects of your event, such as actually engaging with your guests and partners when the event day comes around. Besides the time savings, starting any search and discussions early with your preferred caterers can be a great opportunity for you and your caterers to work together all the way to take the pressure of organising party food off your hands later while delivering the very best food from locally sourced produce. This season as a tradition comes with a lot of seasonal with lower prices. For anyone out there thinking about an upcoming event catering, or simply planning out the year ahead in regards to family or business events, Caterers say this is the best time if you want to save big on Catering. First and foremost, you can also set your bookings in diary right now and not only enjoy huge savings for your later buffet but also avoid deadline day and last minute disappointments. “Because many businesses will be planning end of financial year accounts, many have a lot of wiggle in their budgets or indeed simply getting ready for the year ahead” Joas Serugga, CEO of Quick Buffet, says. “As a result, there are many caterers that will be beginning to fill up their diaries with corporate buffets orders or bookings ahead of the Valentine’s Day”. It just makes sense that getting that booking in time can in addition to some savings help you down the road with a firm booking especially from quality corporate caterers. Unlike many other sectors where last minute bookings could get you a good deal, catering tends to be the opposite. A Last minute quote could set you back £100s, so experts advise early booking if you are after any savings. It not only helps the caterer plan early, but it also benefits if they can fit in you catering needs into any promotions if they can readily anticipate them. What makes this time round rather different however is a combination of many factors, some of which include the general economy; the good economic news continue to come out with record low inflation and low pump prices all combining for a great domino effect. Catering supplier prices are customary depressed in this part of the year anyway which all in combination leads to great seasonal deals and promotions at this time of year with suppliers. . Additionally, the low seasonal supply prices mean in season produce will be even better priced. This means for anyone with an in season event, this is a great opportunity to get a great deal on catering. What many may not know is that for caterers, the early part of the year is an opportunity to set an early marker for the rest of the year. Many caterers will be offering unusually good discounts on buffet catering right now. This makes it an unusually great time to get in that best quote. If your buffet is just round the corner this will be for the most part a very appealing time. “January and February are traditionally good months for a buffet deal anyway” Joas Says. Now is the time to book ahead of Valentine’s Day in February and follow on events in the annual calendar not least the start of the financial year. An anonymous survey for Quick Buffet the online buffet catering quote service in the U.K. last year found that 60% of caterers are willing to offer as much as 20% off normal buffet prices to try to bolster early takings. This can represent a massive £1200 off an average wedding buffet of 150 guests. That sort of buffet can represent a full on 3 course hot buffet service that surely is set to wow your guests but at a much less cost. The in season advice for customers is to insist on a hot buffet from your catering company if you will have your event soon. But if it will come a little later when the sun is out (fingers crossed), an outdoor BBQ option will be ideal. The options are endless only limited by time and imagination so ask for multiple menu proposals and quotes from your caterers when you call for a quote. This is a rather great window to get a very good advance quote, Joas Says. There doesn’t normally come a time in the annual calendar better than this but this is a rather special time. As mentioned before, you have the choice of buying straight off caterers menus or simply post a catering buffet quote request using the many online buffet catering quoting services such as Quick Buffet or Quote My Catering to receive proposals from multiple caterers. Posting a catering job is an ideal way if you are at early stage of buffet planning and simply looking for ideas for your event buffet whereas if you know already what you will want, caterers set menus offer a quick choice for convenience. Communicating with your caterers ensures you get the best of both worlds when you order from menus. When you use the quoting services, it’s essential that you provide as much information as possible so as to get the highest quality proposals as possible. Ensure you provide all the basic information such as expected guest numbers, venue of event, any special dietary requirements or considerations, a budget if you have one in mind and even sundry considerations such as parking availability to help inform caterers quoting process. This information can help mitigate any future surcharges that you may not have planned for. You can communicate with your caterers and when you are happy with a proposal(s), go ahead and make a contract so everything is set in stone and all obligations and responsibilities are clear to both parties. Make use of consumer protections like money back guarantees if available. Hose the most convenient payment options for you like cash on delivery or and payment. Helping business and public, Benons Catering is a premier Manchester and North West Buffet Catering Service with a unique ethos that delivers an all-round catering service. From bespoke catering menus to catering equipment and Marquee hire, wedding catering and wedding cakes, this is a unique complete corporate, private and wedding catering service that services all areas in the Manchester, North West, Lancashire and West Yorkshire areas. Hot on the heels of Boxing Day and Early New Year’s mega sales, Benons Catering a greater Manchester based corporate and private caterer is today announcing plans for a new rebranding program. Oldham, England, January 01, 2016 — Hot on the heels of Boxing Day and Early New Year’s mega sales, Benons Catering a greater Manchester based corporate and private caterer is today announcing plans for a new rebranding program including commissioning of a £70,000 bespoke catering kitchen as well as a brand new rebranded online ordering service. To accompany this exciting news, the company is now offering a 15% off all early 2016 advance bookings as it builds up to the full launch of its Manchester city centre based bespoke commercial catering kitchen. Benons Catering reports that it has seen a recent surge in demand of its corporate catering services most especially. It’s responding to this demand by announcing a series of plans including commissioning a custom kitchen to help meet demand throughout the wider North West, Lancashire and West Yorkshire areas while at the same time widening its menu offer to include a wider fresh and seasonal menu, Marquee and Catering Equipment Hire services as well as bespoke wedding cakes. “After 10 years in catering, the last year has seen some particularly good and increasing demand of our catering services but most notably in the months October to December” Benons Catering CEO Emma Jayne says. “As this looks set to further increase, we’ve secured funding which means that we can now invest in the much needed company rebranding process, our customer ordering processes, invest in new staff recruitment and training as well as firming up plans for a new bespoke commercial kitchen”. Corporate and Private Buffet catering services are particularly archaic to arrange mainly having to rely on online quoting services for multiple quotes on several aspects of event catering often disjointed. This can sometimes mean customers arranging a Marquee, catering equipment hire and buffet catering from separate companies costing more in money and time. Now this is set to change for North West customers as all this is brought under one roof. The new online platform is not only mobile friendly but includes new tools to help customers make quick marquee and catering equipment hire easier and fast reorders as well as a brand new party planning process “We’re working hard to help both our new and existing customers save money and time”, Emma says. “Our new kitchen will especially enable us to deliver more of our same or next day catering services which has seen the steepest demand”, she adds. This will be in addition to the full buffet catering offer including Hot and Cold fork buffets, Daily fork buffet, Office/Business/Corporate lunch menus, Christmas Menus, Breakfast Buffet Menus, Organic buffet catering Menus, Kids Party Menus, Business buffet menus, Gourmet Catering menus, Seasonal Menus, Wedding buffet menus, Corporate Catering menus and Breakfast Menus some of which can be same or next day delivered. Now celebrating 10 years of existence, Benons Catering has built its reputation on innovativeness, reliability and dedication the values that are at the centre of its growing appeal as the best choice in corporate, private and wedding catering in Manchester and the North West. Helping business and public, Benons Catering is a premier Manchester, North West Buffet Catering Service with a unique ethos that delivers an all-round catering service. From bespoke catering menus to catering equipment and Marquee hire, wedding catering and wedding cakes, this is a unique complete corporate, private and wedding catering service that services all areas in the Manchester, North West, Lancashire and West Yorkshire areas. Jetzt sagen Sie bitte nicht „Jeans und Shirt“. Sicher, bei einer Party geht es lockerer zu als bei einem Silvesterball. Wenn Sie eine Einladung von Freunden bekommen haben, achten Sie dennoch auf den Bekleidungsvermerk. Auch in Lokalitäten wird oft bei geschlossenen Veranstaltungen ein Dresscode festgelegt. Zu einem Ball wird der Smoking für den Herrn und langes Abendkleid für die Dame erwartet. Wenn Sie sich unsicher sind, fragen Sie beim Gastgeber nach, wie glamourös oder leger es sein darf. Auch Mottopartys sind sehr beliebt. Steht zum Beispiel hier auf der Einladung „Schwarz-weißes Outfit“, dann sollten Sie sich nach diesem Wunsch richten. Besonders Mottopartys erleichtern den Small-Talk, denn Sie kommen mit anderen schnell ins Gespräch. Wann erscheinen Sie am besten auf der Silvesterparty? Oft liest steht auf Silvestereinladungen zum Beispiel: „Beginn ab 20.30 Uhr“. Doch was heißt das genau? Es bedeutet, dass an 20.30 Uhr Gäste willkommen sind. Ob Sie dann um 20.30 Uhr ankommen oder später, das ist Ihnen überlassen. Jedoch sollten Sie mindestens eine Stunde vor Mitternacht da sein. Was bringt man dem Gastgeber mit? Ein klassisches Präsent ist immer richtig. Das kann eine CD oder ein Buch sein, vorausgesetzt, Sie kennen den Geschmack des Gastgebers genau. Allerdings eine gute Flasche Wein oder Pralinés ist ebenfalls eine sichere und gute Wahl. Ist Alkohol auf der Silvesterparty ein Muss? Wasser löscht den Durst, Alkohol ist für den Genuss – allerdings kein Muss. Wer nicht mit öffentlichen Verkehrsmitteln nach der Party nach Hause fahren möchte und auch auf ein Taxi aus Kostengründen verzichten möchte, der fährt mit dem Auto. Ganz klar, dass man dann auf Alkohol verzichtet. Zu Mitternacht darf dann auch mit Wasser oder alternativ Sekt-mit-Orangensaft angestoßen werden. Wie ist beim Buffet zu beachten? Buffets sind bei allen beliebt, denn da ist für jeden etwas dabei. Doch unabhängig von der Silvesterfeier lässt sich sehr häufig beobachten, dass sich einige Zeitgenossen den Teller so voll machen, dass er schon fast überquillt. Hier gilt es eine Faustregel: Halten Sie sich an die Gänge: Vorspeise, Hauptspeise, Dessert. Sie dürfen so oft zum Buffet gehen, wie Sie mögen und von allem probieren. In öffentlichen Gaststätten nehmen Sie sich bei jedem Gang zum Buffet einen neuen Teller und neues Besteck. Das Servicepersonal räumt die leergegessenen Teller an den Tische3n wieder ab. Übervolle Teller erwecken schnell den Eindruck, gierig zu sein. Und: Stilvoll ist das auch nicht. Denn das Auge isst schließlich mit. Wenn Sie fertig gegessen haben, legen Sie das Besteck auf die „Zwanzig-nach-vier-Stellung“, die Serviette gehört locker gefaltet links neben den Teller. Wann ist Zeit zu gehen? Es gibt manche, die bleiben und bleiben und bleiben… ja, auch wenn die anderen Gäste schon gegangen sind und auch der Gastgeber schon auf die Uhr schaut und gähnt. Mal ehrlich: Höflicher ist es schon, früher zu gehen. Sich wenige Minuten nach Mitternacht zu verabschieden, nachdem gerade das Feuerwerk begonnen hat, ist ebenso wenig wertschätzend. Schauen Sie am besten, wie die Stimmung nach der Knallerei ist. Vielleicht sind Sie ja in ein interessantes Gespräch vertieft. Ob es dann zwei Uhr nachts ist oder auch halb drei, wenn Sie sich beim Gastgeber verabschieden, wird sicher keinen Unterschied machen. Achten Sie darauf, dass Sie nicht der letzte Gast sind und sich auf jeden Fall für die Einladung bedanken. Wer sich in den kalten Tagen auf süße Versuchungen freut, ist in den 41 deutschen ALEX-Restaurants genauso richtig aufgehoben, wie die Party-Liebhaber in der Silvesternacht. Viele kulinarische Genüsse und jede Menge Feierlaune stehen auf dem Dezember-Programm, um die Gäste zu verwöhnen. Los geht“s ab 25. November mit süßen Waffelbäckereien, die mit so verführerischen Begleitern wie Bratapfel-Eis oder Sauerkirschen serviert werden. Auch deftigere Gerichte wie Entenbrust mit Klößen oder das ALEX-Weihnachtsschnitzel machen Lust auf die Feiertage. An allen Advents-Sonntagen laden vorweihnachtliche Brunchbuffets zum stimmungsvollen Genießen ein. Ein festliches Frühstücksbuffet erwartet am Heiligabend die Gäste und ab 18 Uhr darf bei der fröhlichen Xmas-Cocktail-Happy-Hour richtig abgefeiert werden. Weihnachtlich-opulent gebruncht wird an den beiden Weihnachtsfeiertagen. Zum Jahresabschluss steigt die große ALEX-Silvesternacht, die jeder Betrieb etwas anders feiert. Wer bei der letzten großen Party 2013 dabei sein möchte, sollte sich rechtzeitig Karten besorgen. Der Vorverkauf hat bereits begonnen! Detaillierte Informationen dazu und zum gesamten Dezember-Programm gibt“s unter www.dein-alex.de oder www.facebook.de/alexgastro . Mitchells & Butlers besteht in Großbritannien bereits seit 1898. Der führende Betreiber von Pubs und Restaurants in Großbritannien (rund 1.550 Outlets, u.a. All Bar One, O’Neill’s, Nicholson“s, Harvester, Toby) verzeichnete in 2012 (z. 29.9.) einen Umsatz in Höhe von 1,9 Mrd. Pfund. Anfang 1999 wurde die deutsche ALEX-Gruppe von der Mitchells & Butlers plc. Übernommen und seither kontinuierlich ausgebaut. Für das Management dieses innovativen und mittlerweile 41 „ALEX“ und 1 „All Bar One“ umfassenden Freizeitgastronomie-Konzepts zeichnet die Mitchells & Butlers Germany GmbH, Wiesbaden (Geschäftsführer: Bernd Riegger), verantwortlich. Sie erwirtschaftete in 2012 (z. 31.12.) mit rund 1.580 Mitarbeitern einen Umsatz in Höhe von 79,97 Mio. (VJ: 74,4 Mio.) Euro. Unter den umsatzstärksten Freizeitgastronomie-Unternehmen im Segment der deutschen Systemgastronomie belegt Mitchells & Butlers seit 2004 einen der ersten drei Plätze. ALEX erhielt in seinem Gastronomie-Segment zahlreiche Auszeichnungen: Kundenurteil „sehr gut“ und Testsieger in der Kategorie „Speisen und Getränke“ im Vergleich mit 23 nationalen Freizeitgastronomie-Unternehmen (unabhängige Studie von ServiceValue, 2012); einer der beiden besten Arbeitgeber innerhalb der Freizeitgastronomie und einer der Top-Arbeitgeber in Deutschland (unabhängige Studie von Focus und Xing, März 2013); „Familienfreundlichstes Unternehmen“ innerhalb der Freizeitgastronomie (unabhängige Studie von ServiceValue, August 2013). Es ist Herbst geworden, da sind bereits die ersten Firmen, Vereine und Freundeskreise auf der Suche nach einer Idee für die nächste Weihnachtsfeier oder den nächsten Betriebsausflug. Im Rahmen der Veranstaltung "Leverkusen on Ice, welche vom 14.11.2013 bis 05.01.2014 geplant ist, besteht für verschiedene Gruppen ab 20 Personen die Möglichkeit, eine Weihnachtsfeier oder einen Betriebsausflug zu feiern. Im stimmungsvollen Ambiente in einem extra hierfür abgetrennten Zeltabteil, mit liebevoll eingerichteten Tischen und winterlicher Atmosphäre, können die einzelnen Gruppen in geselliger Runde schöne, gemeinsame Stunde erleben. Auch Deutschlands neuer Wintertrend, das Eisstockschießen ist mit im Angebot. Viele der Gäste nutzen im Rahmen der Weihnachtsfeier oder des Betriebsausfluges die Buchung von Eisstockbahnen, die für viel Spaß und für zusätzliche Stimmung sorgen. Die Weihnachtsfeiern in Verbindung mit dem Eisstockschießen sind eine außergewöhnliche Idee und einfach "mal was anderes. Insgesamt stehen den Gästen acht Eisstockbahnen zur Verfügung. Seit dem Jahr 2012 ist der komplette Bereich zwischen der Gletscher-Bar und dem Spielerbereich der Eisstockbahnen von einem wetterfesten 30 x 8 m großen Zelt überdacht. Schon in den letzten Jahren entwickelten sich die Eisstockbahnen zum absoluten Highlight bei Weihnachtsfeiern und Betriebsausflügen und sorgten für reichlich Spaß und Unterhaltung innerhalb der spielenden Gruppen. Ab der Saison 2013/ 2014 stehen im Zeitraum vom 15.11.2013 bis zum 23.12.2013 insgesamt zwei separate und beheizte Zeltabteile im Bereich der Gletscher- Bar für die Durchführung von Weihnachtsfeiern und Betriebsausflügen zur Verfügung. In diesen Zeltabteilen ist auch genügend Platz für ein Buffet jeder Größenordnung vorhanden. Weitere Informationen und Bilder sind auf http://www.weihnachtsfeier-betriebsausflug.de ( http://www.weihnachtsfeier-betriebsausflug.de ) zu finden. Auf der Suche nach Ideen für die Weihnachtsfeier, Betriebsfeier sowie Incentives und den Firmen Betriebsausflug? Leverkusen on Ice bietet für besondere Firmenevents, Firmenfeiern sowie Betriebsausflüge die perfekte Location. Events und Veranstaltungen der etwas anderen Art: Eislaufen, Schlittschuhlaufen sowie Eisstockschießen in der Eissporthalle mit insgesamt acht Eisstockbahnen machen jede Weihnachtsfeier zu einem unvergesslichen Erlebnis. Eisstöcke, Schlittschuhe sowie eine Beschallungsanlage werden bereitgestellt, Eislauflehrer und Eisstocklehrer unterstützen die Anfänger. Beheizte Zelte, die Gletscher-Bar und gastronomisches Personal, Catering sowie ein Buffet sorgen für das leibliche Wohl und ein Weihnachtsessen nach Wunsch. Firmen Weihnachtsfeier bei Leverkusen on Ice in Nordrhein-Westfalen – Betriebsausflug und Betriebsfeier als außergewöhnliche Incentives Ideen.